I grew up with Jim Henson being one of the pivotal influences in my life.Â I would watch his television shows, play with licensed toys of his creations and all those things had a special place in my heart.Â I remember when he died and I was genuinely upset, even as a five year old child.Â He was the first to use humor in commercials, he was the programmer which allowed PBS to actually become a national player, he revolutionized the way that puppetry is done.Â Now one of his pieces is available on DVD. Starting this November 4th, now available on DVD from Lionsgate Films and HIT Entertainment comes a delightful holiday tale from the king of all puppets.Â Jim Hensonâ€™s Christmas Classics â€“ The Christmas Toy is ready to come blasting out of your television screen and bring a whole season of fun into your heart.Â Bring home this charming and delightful film today! It is the night before Christmas and the Jones family is asleep.Â That means that it is time for all the toys to come to life.Â The new toys are all wrapped up downstairs and the old toys upstairs are jealous and a little frightened that they will no longer be as important.Â Despite a warning to be welcoming to the new toys, Rugby the tiger, the number one toy in the house, goes downstairs to check out his new competition.Â One of the new toys escapes, so the old toys must capture it, get it back in the package and keep the Jonesâ€™ from waking up. Painfully, this DVD does not contain any special features.Â That is especially regrettable, because any film involving Jim Henson has got to be fertile ground for some fantastic bonus features. As anyone should expect with a Jim Henson film, this is a heartwarming and delightful story.Â The characters are completely loveable, their adventures are compelling and fun and the musical numbers are simply fantastic. I found the film to be immensely enjoyable and I would certainly recommend it to anyone at all.Â Â If you are looking for a way to introduce your children to the wonderful world of Henson, you would be hard pressed to find a better gateway.Â Bring home this film and make it a holiday season to really remember. Ring Christmas in early this year. 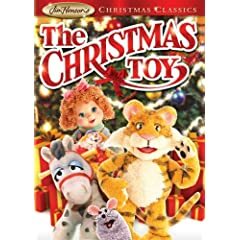 No user commented in " Movie Review: Jim Hensonâ€™s Christmas Classics â€“ The Christmas Toy "